SunWorks Construction Paper is perfect for arts and crafts, school projects and more. 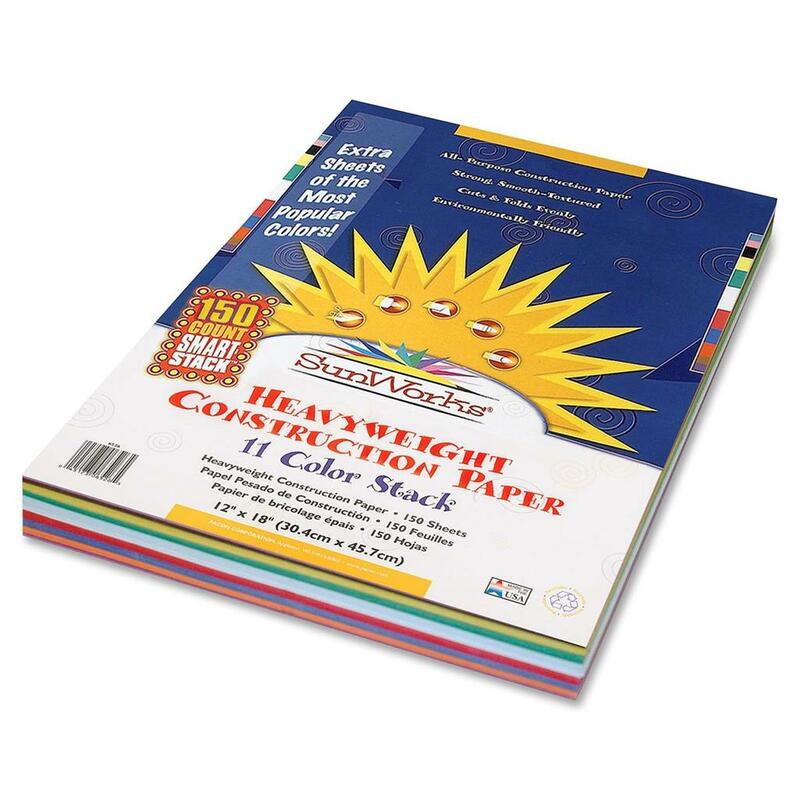 This heavyweight, groundwood construction paper provides the best value in school-grade construction paper. Bright, consistent colors ensure that you'll always find the perfect colored paper for any project. This smooth-textured paper cuts and folds evenly without cracking. The Smart-Stack Assortment includes extra sheets of the most frequently used colors. Colors include Scarlet, Black, Yellow-Orange, Dark Brown, Pink, Violet, Blue, Sky Blue, Holiday Green, White and Yellow. Construction paper is recyclable.